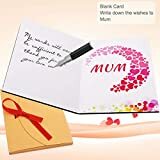 UNIQUE DESIGN GIFT CARD FOR MUM. 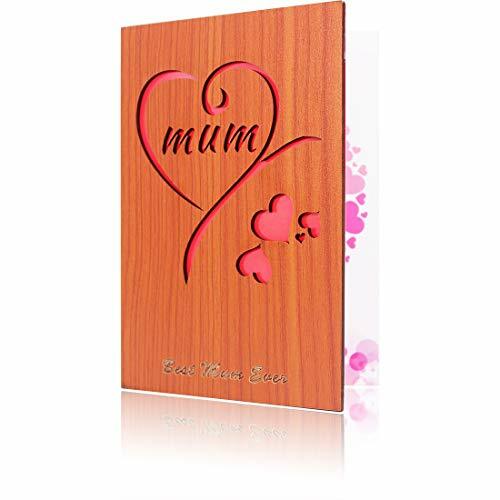 Heart shape design with laser-cutted "mum" in the middle, Laser engraved "Best Mom Ever" at the bottom of the card. Inside with beautiful printed matte stock paper. Made the best gift for Mum. HIGH QUALITY WALNUT POLYWOOD. 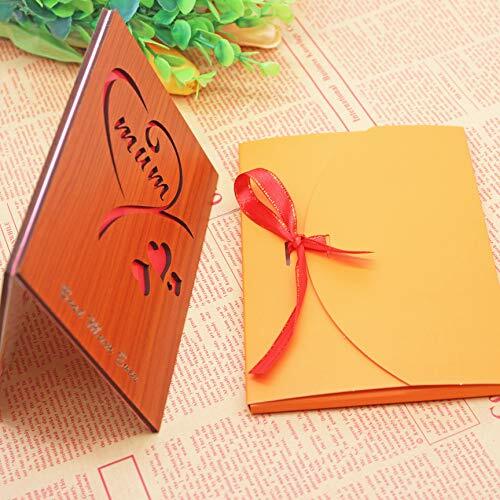 Walnut grain basic on red color polywood makes the gift so special and beautiful. Inside with eco-friendly beautiful printed(right side) stock paper. You could easily write your wishes on the Matte paper. THE BEST WAY TO SHOW YOUR LOVE TO MUM. 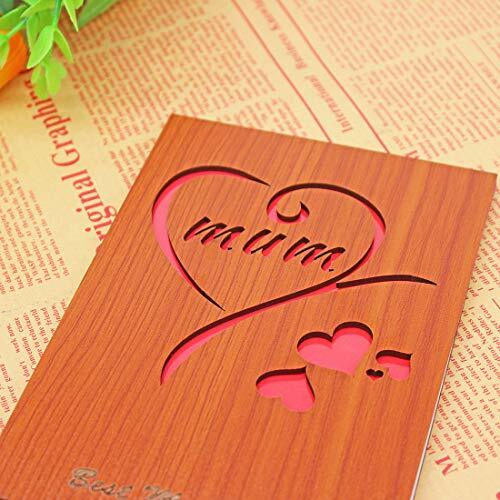 This is one of the best way to show your inside love by this Handmade wood greeting cards. A good thank you wooden present for Best MOM EVER. The wishes with wood card will Last for Many Years. A CARD FOR MULTI OCCASIONS. 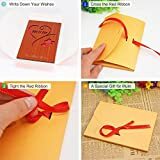 Product comes with beautiful fold gift package. Will be perfect gift for mother's day or mother's birthday gifts , or attach this greeting cards to wiht your gifts. TAKE THE CHANCE AND SAY LOVE LOUDLY. Cherish the time and love tell she how much you loved her. Your best wishes will be the best accompany with her when you are growing up, when you are studying at outside, when you are leave her Hundreds of miles far away. Are you looking for a gift to MUM for mother's day or birthday? This lovely wood mothers day card will help you. Now always be the best time to tell mom how we love her and saying thanks for so many years love. 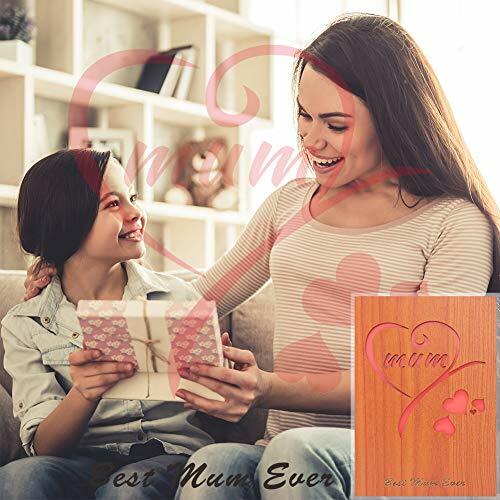 * Best mom ever design card special for mum. * Easily write down your wishes at the matte stock paper. * Beautiful outlook and inside. Laser worked wood card with printed stock paper. * Last to many years, high quality finish make wishes accompany mum many years. 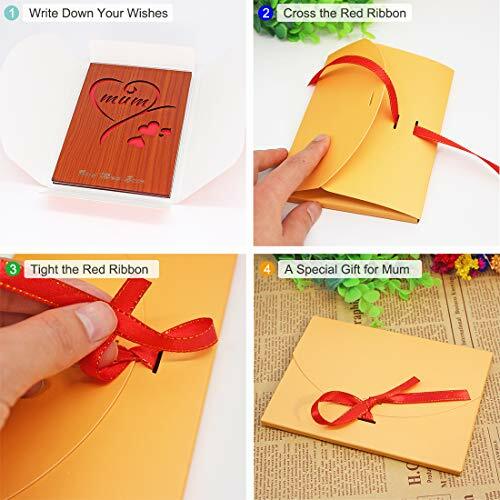 * Good to gift, come with a beautiful 350gsm fold envelope with red ribbon to make a good gift. This card could be use for many Occasions. For a mother's day gift, Mom's Birthday gift, Mom greeting card and so on. 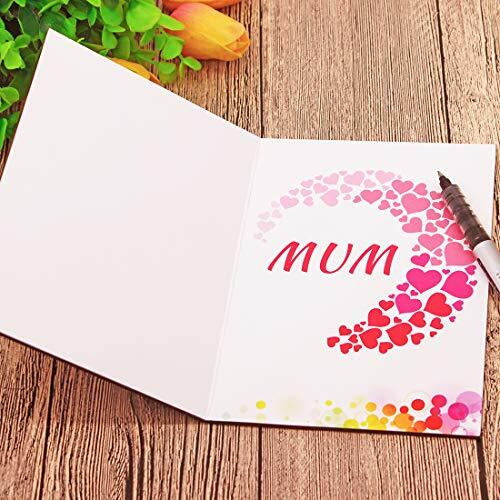 You can send Mum the card attached with your best chosen photo. She will get a lot comfort when years past, when you are studying at other city or work not near by with her. Tell her how much you loved her. BTW, this card also could be send together with other gift. 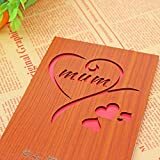 Wood: Laser cut "MOM" and Heart pattern, Laser engraved "Best Mum Ever". Paper(Left Side): Blank for your writing words. 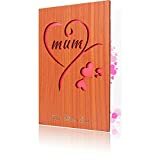 Order NOW and SHOW YOUR FULL LOVE TO MUM!